Oncolytic viral therapy is a relatively modern approach in treating certain cancers. An Oncolytic virus is a ‘biological weapon’ that acts against cancer cells. It has the ability to infect the cancerous tumor and lyse (kill) the cancer cell while preserving normal cells. Oncolytic virus therapies are proving to be a viable modality for use in cancer treatments both alone and also used in combination with other treatment options. The medical community is very excited about oncolytic viral therapy as it is showing efficacy in many hard-to-treat cancerous tumors such as melanoma. The principle action of Oncolytic viruses is based upon the characteristics of the select virus being used for treatment. 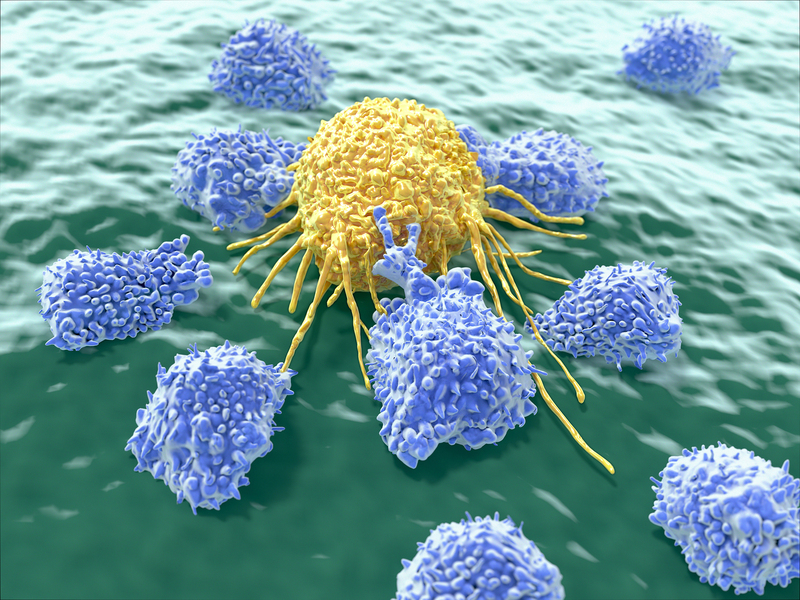 Rather exciting on the forefront of effective cancer treatments, oncolytic viruses are being harnessed for their natural ability to attack cancer cells. Additionally, there are cancers that are known to be especially vulnerable to specific viruses which allows for direct targeting of the particular type of tumor. They work in two distinct, but highly effective ways. The first mechanism of efficacy is that the select virus preferentially replicates itself inside the cancer cell resulting in the destruction of the cancerous cell but does not harm normal tissue. It does this naturally. The select modified virus is attracted to especially hard tumors under the skin and it gets inside the tumor and spreads. This action halts the spread of cancer and also kills the affected cells. The second mechanism is that the virus assists the immune function of the body itself by activating antibodies within the body and results in the lysing of cancer cells. 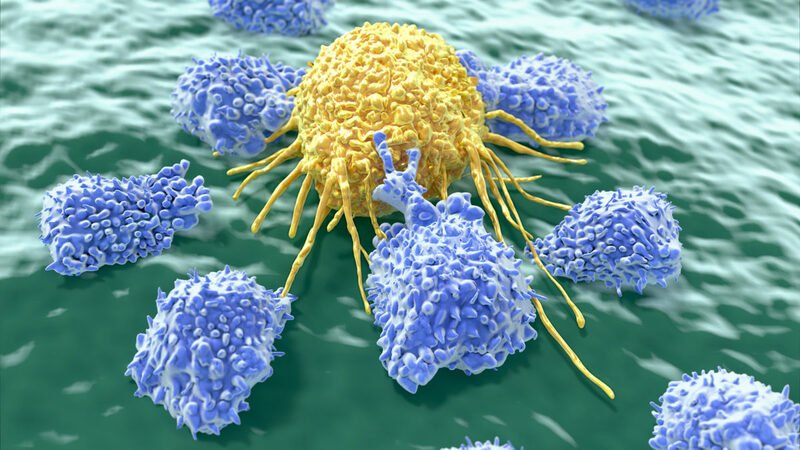 It accomplishes this by triggering the production of T-cells, which are a type of white blood cell that plays a central role in the body’s immune function. The viruses being used in these areas of oncolytic viral therapies include the Measles, HSV, West Nile, Hepatitis B, and many others. The viruses are chosen for their ability to either perform their natural ability to replicate inside the cancer cell and destroy it or to spur immune response. Oncolytic viral therapy appeals to cancer patients because they don’t experience hair loss and related maladies. Oncolytic viruses are well tolerated and the side effects are minimal and tend to disappear within a few days. Unlike traditional therapies, oncolytic viruses are designed to specifically target cancer cells while leaving healthy cells intact. As an appealing benefit to patients, oncolytic viral therapy works without the harsh side effects as conventional therapies such as chemotherapy. Most of the post-therapy symptoms are reported to dissipate within a few days. Also, oncolytic viruses show ability to kill cancerous cells that have become resistant to other treatment methods. Many oncolytic viruses are systemically administered and have a greater safety quotient than other related therapies. Oncolytic viral therapies are well-tolerated, making them a viable treatment option against a variety of cancer types. Some of the more common side-effects reported are a “flu-like” symptoms. They include symptoms such as the chills, fever, nausea, loss of appetite and muscle ache. Some reported pain at the injection sites, but mostly a low incidence of serious adverse reactions while being treated are reported.